Alto Brontes changed from Mega Brontes. He has become mean spirited and gains more energy from defeated Bakugan. He has an extra set of arms to battle multiple Bakugan at once. His strength has grown ten times stronger, but has made him slower. 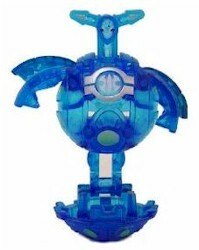 A bright white circle on his chest can freeze a charging Bakugan with a single blast. Purchase Alto Brontes from Amazon now!